For us it has been a week of Web 2.0 buzz words from Crowd Sourcing to Collective Intelligence onwards towards Volunteered Geographic Information. While these may be buzz words they are also evidence of an important rising phenomena and an understanding that in today’s Web 2.0 World content is key. The Wikinomics theory is that companies get individuals to submit information for free – Crowd Sourcing – and thus value add to their product. Yet this only works so many times and perhaps we are already seeing a backlash in information contribution. It is at this point where we might be about to see a shift in user created content in the form of payment via Microsoft Points – specifically aimed at the collection of geographical content via Virtual Earth. 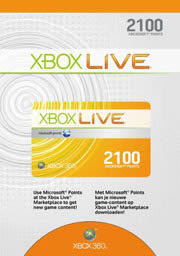 Microsoft Points are a universal system that work across multiple Microsoft products, notably the XBox Live MarketPlace for purchasing games, video and music. We have it on good authority that Microsoft are planning to offer points for content in Virtual Earth, an idea which is bound to significantly increase not only the content but also the user base. Combine this with the use of Virtual Earth in forthcoming XBox Arcade games and its looking like Microsoft are gearing up for a big push on its Virtual Earth platform. I do not care about virtual money in exchange of real work ! Any real world gathering of information worth real value. This is the not sustainable thing about UGC : how long will the user be happy to see others make money out of their individual work. What XBLA games are using Virtual Earth? I couldn’t find anything about it!